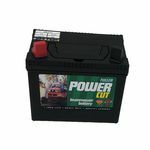 County Battery Services specialises in batteries, and stocks a selection of quality Lawnmower Batteries. 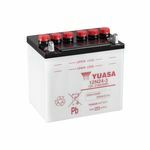 With over 40 years of experience, we provide our customers with a range of batteries from top quality brands such as Yuasa, Fuller and many more. We are experts within the battery industry and have specialist knowledge. 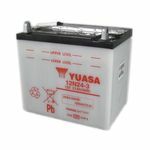 We market and sell our batteries based on quality and price, and ensure we provide excellent customer service. 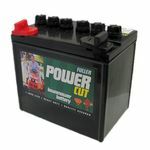 County Battery provides premium lawn mower battery online and in shops. With a wide range of lawn mower batteries for all kinds of lawnmowers and ride on tractor mowers, we provide Lead Acid and Lead Acid AGM. Also, next day delivery, Saturday delivery and free delivery options are available with us within the UK for lawnmower batteries. 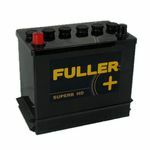 We make sure that we sell you the right type of lawnmower battery. 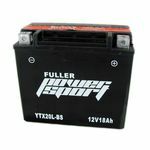 Our Find by Fitment page helps, guides and enables you to choose the correct battery for your lawn mower. Just enter the details of your current battery and find the battery or the right replacement. We do not promote the 'Buy Cheap, Buy Again' motto. We promote 'Buy Quality, Buy Longevity'. 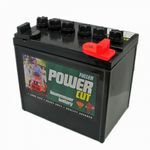 We believe in fitting the best quality lawnmower battery for you to help provide your household and lawnmower appliances the power to run for a long time. Over 40 years of experience in the battery industry, we are battery experts and provide excellent service, online and in-store, at County Battery Services. Visit the County Battery retail shops in different regions of Nottinghamshire; Kirkby-in-Ashfield, Nuthall or Ilkeston and meet one of our helpful battery advisors. Our stores will fit and test batteries for you too. The County Battery website is simple to use and informative, enabling you to find your battery by filtering technical aspects or filtering by price and brand. 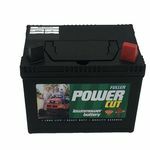 If you are struggling to find your lawnmower battery, call our Battery Experts. We are here to help. For extra tips and advice on lawnmower batteries, you can read our Blog & Videos pages.